So your child loves horses and has expressed a desire to ride? Or maybe you as adult want to start the sport of equestrian and you are not sure where to begin? You don’t have to incur the expenses of buying and boarding a horse to learn to ride. Taking lessons at a facility which offers school horses can be the best way for you and yours to begin their equestrian journey. Choosing a riding facility can seem like a daunting task but there are things you can look for and questions you can ask to help you make an informed decision. 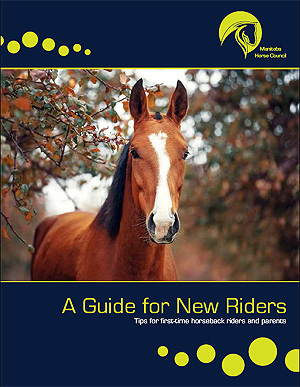 Our downloadable Guide for New Riders now available! Click to download PDF version or request a hard copy from the office. It sure is! Horseback riding has many great health benefits both physical and mental. It is a great way to combine a love of horses with the benefits of physical activity. In fact, some high schools may accept horseback riding as a gym credit. Consult with your child’s gym teacher to find out if this applies to you. While it may look like the horse is doing all the work nothing can be further from the truth. A one-hour ride can burn similar calories to that of jogging depending on the intensity of the ride. It is a cardio vascular exercise and many muscles are in use while on a horse. You may find that out after your first ride! you to make decisions and practice good judgement. as flexibility in thinking, recall and improved attention. Horseback riding is recognized as having excellent therapeutic benefits. Being outside and enjoying the fresh air and countryside is a great stress buster. Developing a relationship with your horse is highly rewarding. Learning to control and care for an animal will boost your confidence, develop respect and a sense of responsibility. It assists with development of patience, emotional control, self-discipline and confidence.